Son Ho Joon, Hong Jong Hyun, Noel's Kang Kyun Sung and more to appear on 'Running Man'. Five mainstream male celebrities on variety shows will make their guest appearances on SBS's 'Running Man'. 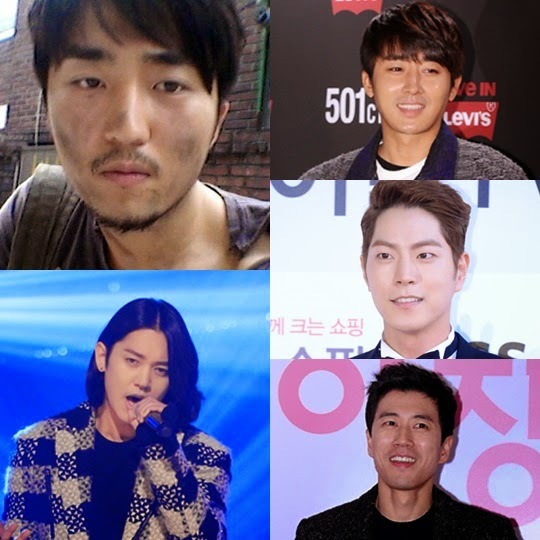 According to Im Hyung Taek PD on April 6th, Son Ho Joon, Hong Jong Hyun, Noel's Kang Kyun Sung, Jang Soo Won and Yoo Byung Jae are currently recording for 'Running Man'. These celebrities have been earning much attention for their performances on varitey shows. Hong Jong Hyun gained popularity through MBC's 'We Got Married', Son Ho Joon has received much love through 'Three Meals a Day', 'Law of the Jungle' and 'Youth Over Flowers'. Jang Soo Won got boosted up in fame thanks to his 'robot acting' in dramas while Kang Kyun Sung and Yoo Byung Jae are considered as the 'sixth man' on MBC's 'Infinity Challenge'. This episode is scheduled to broadcast in mid-April.